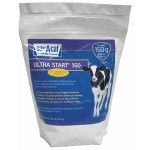 Ultra Start® 150 is a calf colostrum replacer and supplement with Bovine globulin protein from only 100% pure colostrum collected at upper midwest USDA Grade A dairies, fortified with highly digestible fats, vitamins and chelated trace minerals. Smallest feeding size available, mixes effortlessly and completely. 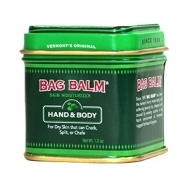 Guaranteed 150 grams globulin protein per pouch. 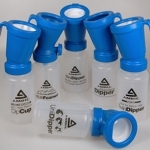 Ambic developed the world’s first dip cup in conjunction with the National Institute for Research in Dairying (NIRD) back in the 1980s. This pioneering work established the importance of post milking teat disinfection in the control of mastitis.